With all the things to do in Panama, it’s easy to see why it’s becoming a travelers’ favorite. I wasn’t in a great state of mind when I visited Panama. The heat and humidity of Central America got the best of me, so much so that despite the many things to do in Panama I didn’t really have a great time. I spent about a month roaming this country which, granted, has a lot to offer to its visitors. Panama tourist attractions are many and varied – from tropical beaches, to jungle, hikes, incredible islands and a great capital city. Panama tourism is developing quickly, perhaps a bit too quickly, and the contrasts between the poor majority of the population and a small extremely rich minority are out there, for everyone to see. Panama City is the kind of place where a few drive around in a Ferrari or Lamborghini, and then there’s others who go dumpster diving or eat restaurant leftovers straight from customers’ tables because they have no food. Having said so, I still think that visiting Panama is a fascinating country to visit – in fact I would not mind going back myself and I believe that going with a different state of mind, I would have a much better time. It is also important to go prepared for what Panama has to offer, and knowing what the range of things to do in Panama is. So here’s a brief guide on what to do in Panama. A quintessential tropical country, Panama’s season are mainly two: the dry season from December to April, and the rainy season. Visiting Panama in the rainy season implies more difficult conditions on the road, but also cheaper prices. Yet, it should be noted that while on the Pacific coast the distinction between dry and rainy season may make sense, it won’t on the Caribbean side of the country. I got a good share of rain in Bocas del Toro, Panama City and even in San Blas, although I was traveling in January and February. Having said so, I would say that one of the best things to do in Panama is visiting during February when at least the Pacific coast is nice and dry. The only international airport in Panama is that of Panama City. Visitors are usually issued a 90 days visa but they will be required to show proof of departure from the country in the form of a plane ticket back to their home country. I was surely asked to show proof of a plane ticket back to Italy. The only border crossing in Panama is that with Costa Rica. The process of crossing the border is relatively easy, provided that visitors show proof that they are leaving the country. There is no border crossing between Panama and Colombia – crossing the Darién Gap is dangerous and would require excellent surviving skills. The area is under the control of guerrilla fighters and drug traffickers, not to mention dengue fever is also an issue, along with other diseases that are spread in tropical countries and for which I recommend getting travel vaccinations. The only way to get from Panama to Colombia is thus to either take a flight or to sail across San Blas (which anyways is one of the top things to do in Panama). There used to be a ferry service but it was recently suspended until further notice. Viva Colombia is a budget airline that connects Panama City with Bogotà and Medellin at very reasonable prices. The official currency in Panama is the US dollar. This makes things a whole lot easier for travelers. One thing to point out though is that there still are some coins which are not accepted in the US. I tried to use some Panamanian dollar coins in Miami and I was told off! I didn’t have any problems when I traveled in Panama, nor did I experience any danger. Having said so, crime is certainly an issue in some parts of Panama, such as in Colón (which is the main connection point between Panama City and Portobelo, and a major free port) and in the above mentioned Darién Gap. I also noticed that drugs were flowing freely in Bocas del Toro, where one of the first questions I was asked when I arrived at my hostel (after a long search) was whether I needed any. One of the best things to do in Panama to stay safe is thus avoiding streets that have little or no illumination at night and not to walk around alone at night. Panama City has a good public bus system that connects all the main parts of town, as well as a newly opened underground system. Long distance buses are generally comfortable and punctual, and tickets can be bought in advance via agencies or even online. Shorter distances are usually covered by chicken buses, common in all of Central America. These have a fixed route and they stop to let passengers on and off along the way, so they can be quite slow – yet a very good way to mix in with the locals, not to mention very cheap: I’d say that hopping on a chicken bus is one of the things to do in Panama. Food in Panama is somewhat similar to that of the rest of Central America – at least to my tastebuds. The easiest (and cheapest) thing to eat is chicken with patacones (fried plantains croquettes) and rice. Yet, one of the top things to do in Panama is eating fresh seafood. Panama City has a great restaurant scene and the fish market is a great place to have some good seafood. Fruit in Panama is fresh and delicious so one of the best things to do in Panama is having fresh fruit, or fruit smoothies. Water is not potable, and it is good policy to avoid it especially in Bocas del Toro. Beer is the most common alcoholic drink. Aside from bottled beer, La Rana Dorada in Panama City is a great brewery – one of the things to do in Panama is having beer there! 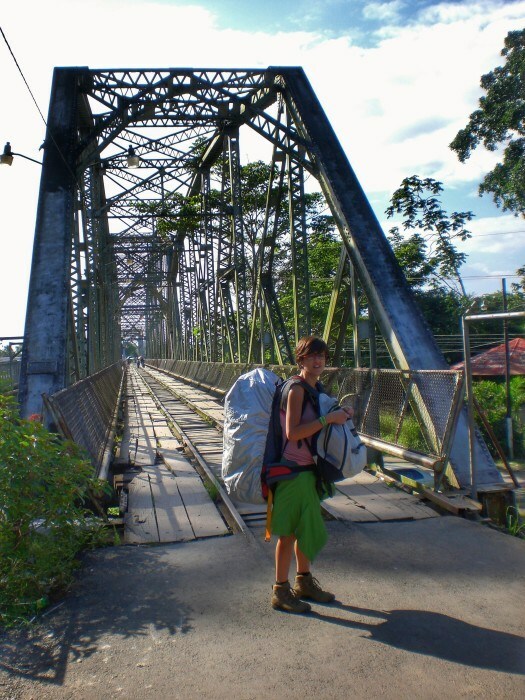 One of the clever things to do in Panama is traveling with a backpack rather than a suitcase. Roads can be bad, making it hard to carry around a suitcase. I love the Osprey Ariel 65, because it fits me perfectly. The Berghaus Wilderness 65+15 is great too, but bigger. Walking shoes – My favorite are Converse All Stars. Otherwise, I recommend a pair of good sandals – in the heat of Panama it is important to stay comfortable. A few t-shirtsas well as tank tops. A waterproof jacket, because it often rains, even during the dry season, especially in the Caribbean side. I love one by The North Face. A toiletry bag– to carry shampoo and conditioner, a soap or shower gel, tootbrush and toothpaste, a good sunblock, deodorant, and mosquito repellent. Pharmaceuticals – paracetamol, motion sickness pills for that sea sickness, and Imodium. A quick dry towel – this is one of the smartest things to do in Panama. I also take a day pack to hold my sunglasses, my camera, powerbank, wallet and travel documents, and even a travel guide book (save for Panama City, one of the things to do in Panama is not to rely on wifi to search for places). I have spent a month in Panama, during which I have traveled quite widely across the country. I still feel I only scratched its surface and I would love to go back to explore more. There are so many things to do in Panama that it is easy to find something different to do every day. However, if one is visiting Panama for just a limited time, there are some Panama tourist attractions that should not be missed. One of the best things to do in Panama is visiting its capital, Panama City. This is the most cosmopolitan capital of Central America. I think it actually is the most interesting and beautiful capital of the continent, indeed. I wholeheartedly recommend going on a guided tour of Panama City. Panama City is a constant work in progress. It is a huge construction site where new skyscrapers continue filling in the skyline. The city is pretty much divided in two main parts: the modern town, with the skyscrapers, the modern buildings (and the traffic) and the old city, or Casco Viejo, where reconstruction works have been ongoing to bring it back to its original splendor. I love this contrast between modern and antique, where one minute I can feel as if I am walking through history and the next I jump back into the future. One of the top things to do in Panama City, Panama, is admiring the skyline from the Paseo las Bóvedas in Casco Viejo. From there, it is also possible to admire the Puente de las Américas (Bridge of the Americas), which arches over the waterway and where the ships line to enter the Panama Canal. Walking around Casco Viejo is one of the must things to do in Panama City, Panama. The location of Casco Viejo was picked by the Spaniards following the destruction of the old city by Henry Morgan in 1671 – it was a point easier to defend than the one where the city used to be located before. Casco Viejo is packed with lovely, tiny cobbled alleys. There are lots of derelict buildings, some of which are being renovated. Yet, I find that part of its charme is in its crumbly appearance. Nowadays, Casco Viejo – a UNESCO World Heritage Site since 2003 – is a hip part of town. There are some great hotels, some of the best restaurants in Panama City, as well as bars and clubs. Among the unmissable things to do in Panama, there is visiting the gorgeous Plaza Indipendencia, Plaza de Francia and the Iglesia de San José. One of the things I particularly enjoyed in Panama City is its street art scene. Among the things to do in Panama City, Panama, there is walking around to admire the various murals that decorate Casco Viejo, giving it a quirky look. Panama City is also the jazz capital of Central America, and among the best things to do in Panama there is attending the Panama Jazz Festival which usually takes place each year in January. I love jazz, and I’d be glad to visit Panama again just for that! The Panama Canal is one of the unmissable places to visit in Panama. Not far from the city, it is one of those attractions that anybody visiting Panama will love. Panama tourism – and its economy altogether – thrives around the Canal. There is a very interesting museum that has a great exhibit of photos and documents on the construction of the Canal. Yet, it is undeniable that one of the top things to do in Panama is admiring the huge ships that cross the Panama Canal at the Miraflores Locks. They now even sell boat tours of the Panama Canal online. I’d certainly do one if I go back. Among the things to do in Panama City, Panama, one that I truly enjoyed was having a beer at La Rana Dorada. I am far from being an alcoholic (in fact, I am quite the lightweight) but I like a good draught beer, which is almost impossible to find in Latin America. La Rana Dorada is a really nice brewery in Casco Viejo, that also has some decent pub food. It is pricey, but worth every cent. There are various beers to choose from – I particularly liked the Pale Ale. To top off the good beer, La Rana Dorada has a great view of the skyline of Panama City. One of the best things to do in Panama City, Panama, is enjoying a drink at a rooftop bar or having a night walk to admire the lights and the skyscrapers in the distance. Although Panama City is packed with accommodation for any budget, I believe that one of the best things to do in Panama is to actually make reservations well in advance. I didn’t have any when I got there, and spent over an hour walking around Casco Viejo, carrying my backpack, to eventually find a dorm bed in a horrible hostel called The White Lion. I would not recommend that to anybody! For those who want to stay in the Casco Viejo, La Concordia Boutique Hotel is a great choice: it has a lovely decor and it is located close to all the nicest Panama tourist attractions. In the new town, Baru Lodge is a great place to stay: comfortable rooms with air conditioning (which is a blessing in the heat of Panama), good wifi, great breakfast and very nice staff. Location isn’t the best as it is a bit far from the main attractions of Casco Viejo, but it is well connected via bus and really quiet, ensuring a good night sleep. Panama is more expensive than the rest of Central America countries, so eating out can be pricey. There’s lots of good and fancy restaurants around Casco Viejo. A good place for a tasty and inexpensive meal is the Mercado de Mariscos. The ground floor is lined with tiny eateries where $1 USD can buy a portion of ceviche (marinated raw fish) and a beer, whereas on the top floor there is a good restaurant that serves cooked meals at a reasonable price. Visiting the Mercado de Mariscos is definitely one of the things to do in Panama City, Panama. Considered to be one of the ultimate Caribbean destinations, Bocas del Toro is definitely among the places to visit in Panama. This tropical archipelago is a favorite of backpackers, to the point that it can get very crowded on certain times of the year. The best way to discover Bocas del Toro is by boat. Panama tourism has invested a lot on Bocas del Toro, but while some of the islands have been developed in a sustainable way, other destinations have suffered the effects of uncontrolled development. It is not uncommon to see big piles of garbage around Bocas Town, the biggest town on the archipelago – something that takes away a bit of Bocas del Toro charme, in my opinion. However, whenever I got away from Bocas Town, I could see what was so special about Bocas del Toro. The range of things to do in Panama reaches its peak in Bocas del Toro, where it is possible to practice all sorts of water sports such as kayaking, snorkeling and surfing. There are some hiking trails (though hiking in the humid heat is not ideal) too. Some of the best Panama beaches are to be found in Bocas del Toro, such as Wizard Beach and Red Frog Beach (on Isla Bastimentos). If Bocas Town is crowded and dirty, Isla Bastimentos is all about nature and incredibly quiet. The main village here is Old Bank – no more than a few houses along a dirt road, no cars, and lots of jungle. It is a nice place to relax, walk around (though it often rains and it is better to wear rain boots or good hiking shoes, or else it is impossible to walk) and admire nature. 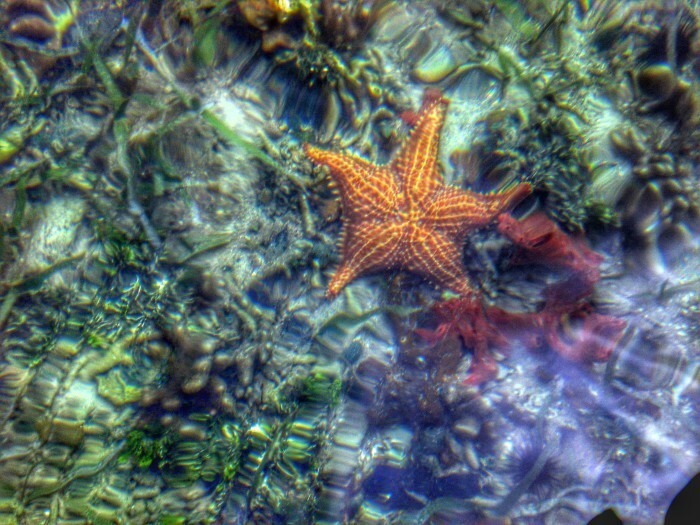 One of the best things to do in Panama around Bocas del Toro is going on a day boat trip that goes around various beaches and some of the best spots for snorkeling and admiring the marine life. Bocas Town has a wide range of accommodation available. However, most budget options do not accept reservations, making it seriously troublesome to find a bed during peak season. A fairly good place that takes reservations and is run by a lovely Italian couple is Hotel Cala Luna. Old Bank, in Bastimentos, has some fairly good options which include Al Natural. With regards to eating options, there are some good and pricey restaurants in Bocas Town, as well as many small eateries where the quality of the food is sparse. Old Bank options are more limited. A good place in Bocas Town is Alberto’s Pizzeria, run by a Sardinian couple and which makes some good quality pizza. Las Lajas, on the Pacific coast, is hardly considered to be one of Panama tourist attractions. Yet, of all the Panama beaches, this is the one I enjoyed the most. I went there on my way from Bocas del Toro to Panama City, just to break the trip, and found it to be a place that is off the beaten path compared to the rest of the country – which is somehow crowded with tourists – and really enjoyable. Las Lajas should definitely be included among the places to visit in Panama. Among the things to do in Panama, there is relaxing on a fantastic beach. Playa Las Lajas is a 20 km long beach, of fine light brown sand, lined with palm trees. The water is really warm (I was actually really surprised about that!) so it hardly provides a break from the heat, but it is fun to play among the waves. I also really enjoyed biking along the beach and observing the crabs as they went in and out of their holes. One of the best things to do in Panama is admire the sunset on Panama beaches along the Pacific Coast. I surely didn’t want to miss on this opportunity, especially since Playa Las Lajas is very quiet and I could have the entire beach to myself. And the sunset didn’t disappoint at all – it was simply spectacular! When I visited Las Lajas, I tried to stay at Hospedaje Ecologico Nahual but it was a little too “ecologic” for me – I left the same night I arrived because I didn’t enjoy the company of cockroaches. I thus went to stay at the much better Naturalmente Boutique Bungalows. My advice to those who don’t want to make reservations is to travel early and get there when there is still light, so that it is easier to get a good room as it is harder to find places after dark. Fresh seafood is available in the various small eateries along the beach. There are also some upper scale restaurants. One of the best things to do in Panama is supposed to be sailing through the San Blas archipelago to reach Colombia. Sailing boats usually leave from Portobelo, a Caribbean fishing village where life goes by very slowly. Boats are usually docked on the bay, which is protected from the currents of the Atlantic ocean providing a very safe harbor. The village itself is a nice place to explore and relax and a good starting point for visits to nearby beaches and sites, and I recommend to include it among the places to visit in Panama. A good place to stay in Portobelo is El Otro Lado – it’s a lovely place to wait for the departure of the sailing boat to San Blas. Sailing across San Blas is easier said than done. Even on good days, the Atlantic ocean is rough and it takes a good stomach not to feel sick. There are various companies doing the crossing via sailboat, and depending on the season it may be necessary to book well in advance. The usual price for the crossing is $550 USD, which generally includes food but not alcoholic beverages, which can be brought on board. Some companies offer cheaper prices, but in my experience paying a cheaper price may sometimes equate to getting ripped off – having a really small boat that carries too many passengers, for example – meaning that there is no room to move around, to stay on the deck, etc. Among the best agencies to sail across San Blas there is Skip the Darien Gap and San Blas Adventures. There’s also companies that offer to do the crossing via speed boat, where passengers only spend 3 hours per day on the boat and sleep and eat on the small islands. This is among the best things to do in Panama for those who, like me, don’t enjoy sailing so much (more about this later) and since more time is pent on the islands, it’s a great opportunity to get to meet the local communities. San Blas Adventures used to have the monopoly of speed boats, but now there’s more companies offering to do the trip, like Mia San Blas and San Blas Frontera. These companies work in cooperation with the Kuna Yala, so these will be benefiting directly from the tourism. One of the things to do in Panama is definitely considering the negative as well as the positive impact tourism may have on the local communities. If sailing San Blas is one of the best things to do in Panama, picking the right boat is of the utmost importance or else the experience will not be pleasant at all. Mine was not pleasant at all, and just to show that I am an unsuccessful backpacker, I ended up wasting around $500 USD for a boat I hardly stayed on and eventually had to add the price of the ticket from Panama City to Colombia. Soon after getting on board, sea sickness got the best of me and after 24 hours of hell I decided to disembark on Isla Porvenir, one of the many islands of the Comarca de Kuna Yala, considered one of the places to visit in Panama and where the Kuna indigenous people live. Yet, I still managed to enjoy San Blas, where I spent one night camping on the beach (and woke up to a gorgeous sunrise) and another night in one of the rustic accommodation available for visitors, and got to meet the very interesting locals. San Blas has some of the most amazing Panama beaches and despite being still a bit sick I made it a point to relax a bit before traveling back to Panama city. Indeed, one of the top things to do in Panama is going island hopping in San Blas and I surely didn’t want to miss on that, so I opted for a fast boat and reached some of the closest islands. Although San Blas is becoming a more popular destination in Panama tourism, there aren’t that many places to sleep on the archipelago. One of the best things to do in Panama, where possible, is actually camping on a beach – but permission is required in order to do so. I literally had to beg the chief of the island to allow me to pitch my tent when I disembarked the boat and only managed to convince him when I started crying for being so sick. People who visit San Blas usually do so during a sailing trip and they sleep on board, so accommodation is hardly a problem anyways. Other than that, there are a few places scattered around, as well as some local eateries where the food isn’t really great. It’s interesting to note that although these are islands and seafood should be easily available, the main thing available is chicken! Most places are very expensive for the kind of accommodation they offer. Kuna Yala is definitely in line with the lifestyle of the locals: very modest. Similar is the style of San Blas Guanidup Cabins. It’s also possible to secure a cabin on a sailing boat now. Have you ever been to Panama? What did you enjoy the most about it? Great useful tips Claudia. Last time in Panama we got the advice to head to Boca Chica on the other side of the country instead of Bocas del Toro. It’s incredibly clean, quiet and serene, a welcome change, put it on the list next time! cheers! I had a tip to go there. But then it involved a lot of travel and I had to be in Panama City on a specific date and could not make it. I regret not going!! It’s a shame you didn’t have the greatest time in Panama but as you said, hopefully if you go there again in a different mindset, you’ll have a great time. By the way, this a great article for those considering traveling to Panama. I really enjoyed the long weekend I spent in Panama City last fall, but the heat and humidity were quite oppressive! I joked that it was a good “practice trip” for my upcoming vacation to Thailand. One correction, though, the water is potable in Panama City. Perhaps not in the other areas you visited. It’s interesting you had to show proof of exit in the form of your outbound plane ticket – we did not. Wonder how they pick and choose? Yes, the water is potable in Panama City (and tastes just bad), but a no-no in the rest of the country, especially in Bocas del Toro. I don’t now about proof of onward travel but that is a common practice in most of the world, actually – and surely in Panama! HI Claudia, this was a good guide to the country, I will be visiting in November to celebrate a friends 40th so this was timely and well done. Panama is an interesting country. I can’t say I got it all – the divide between rich and poor is probably the most visible in Central America, with people driving their Ferrari and Porsche in Panama City (you will see so many) in the very same places where others go to restaurants and eat leftovers they find on the table. You will also see lots of garbage around – it was particularly bad in Bocas del Toro, where namely there is no garbage removal system in place. It was just strange to see all that trash in a place which would otherwise be 100% gorgeous. Then again, the country is lively, the sighs gorgeous, and the beaches incredible – there are many things to do in Panama which you will definitely love. I am glad you liked my mini-guide Noel! !